The Mondo! 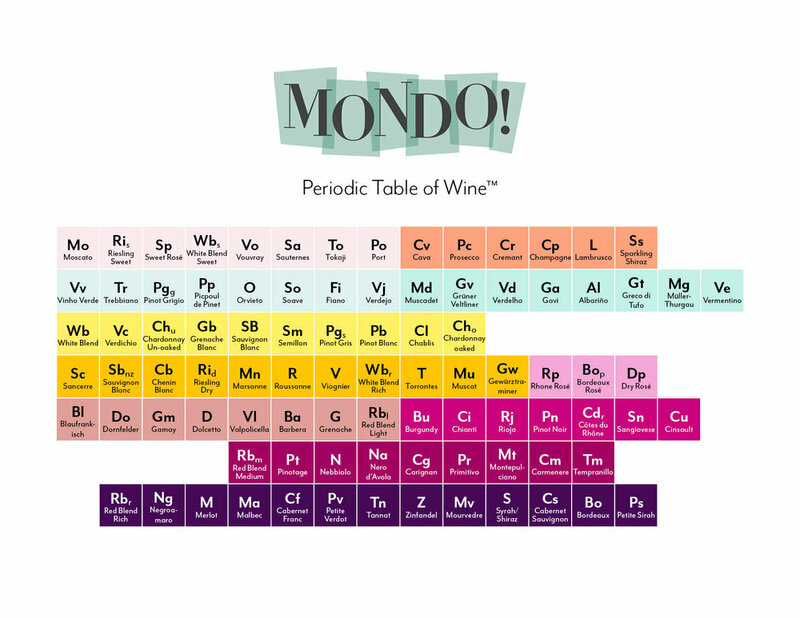 Periodic Table of Wine™ is a Mondo! Wine Bar & Retail exclusive developed by owner David Oliver. It's a visual roadmap to guide you in your search for the perfect wine. Just like the periodic table we all had to study in high school, ours has the lighter wines on top and they get bigger and richer as you go left to right and top to bottom. Use this table to help you experiment with new varietals by finding a grape/style you know you like and note the color of the square. Any other varietal with that color will have stylistic similarities. We use these icons on both our menu and shelf talkers to give our guests a quick read on the styles of the wine they're considering.